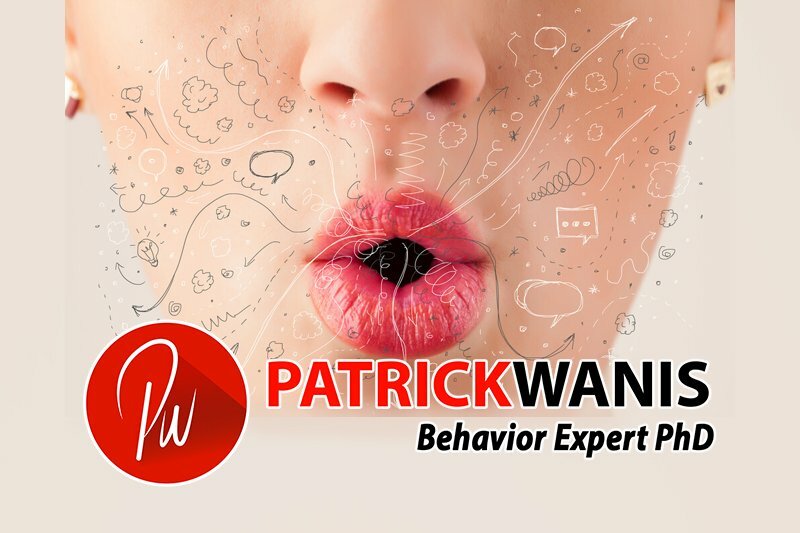 Apr 4, 2019 /in Success Newsletters /by Patrick Wanis Ph.D. In this week’s Success Newsletter, I would like to discuss speaking up, and offer tips to overcome the fear to speaking up and using your voice. Do people treat you badly? Now, let’s talk about speaking up – what it really is, and ways to overcome the fear to speaking up. Are you the person who holds it all in and doesn’t’ speak until the pressure, anger and frustration have accumulated to the extent that you explode and then either everyone runs, criticizes or shuts you out? Or, perhaps, you have noticed that it is easier sometimes to speak up when you are doing it to help someone else. Before sharing the steps to empowering you to speak up, let’s look at what speaking up means. Are you clear about what you will and won’t accept? Are you able to use the words, “yes” and “no”? Do you express your ideas, feelings, thoughts or opinion? Do you challenge the process, procedure or status quo; do you offer new solutions and alternatives? Do you ask for help, support, training, or for what you want and need? Do you believe that it is acceptable for you to speak up? Yes? No? Or, it depends? On what does it depend? You will probably say it all depends on how fearful you are. What, though, determines the level of fear to speaking up? What you believe you will lose! Your fear to speak up is directly tied to your belief about what you will lose versus what you will gain if you speak up. The image or reputation that you have with other people? Approval and acceptance of others, resulting in criticism or ostracism? Connection with others, resulting in rejection or exclusion? Security via loss of connection and belonging? An enhanced image and respect from other people? The means to have your needs and desires met? Greater security and satisfaction in your relationship? And if you don’t speak up, what will you lose? Perhaps you will go unnoticed, be invisible or never get your needs and desires met! Perhaps you will become a people-pleaser. Accordingly, the fear to speak up is tied to what you have to lose, and to the power you yield. Power is defined by the ability to influence, control, change or to have many options. For example, if you are the boss and you have many options to replace a poorly performing employee, then you won’t have the fear to speak up. Here, you have perceived and real power including security. However, if you are in a relationship and you depend on your partner on many levels (financially, emotionally and even physically because of illness) then your power is reduced, and you will have greater fear to speak up, again out of the fear of losing support and financial, emotional and physical security. When you feel powerful, you have less fear and greater confidence to speak up, and when other people perceive you as powerful, they too, grant you the opportunity to speak up and most likely give you what you want. The fear to speak up often begins in childhood. Were you encouraged to speak up or were you shut down? Was your opinion welcomed? Did you see other people in your family being criticized, ostracized, condemned or excluded when they spoke up and used their voice? Did you believe that the opinions, needs and desires of others takes priority over yours? Did you live in constant fear or ‘walk on egg shells’? Given that our subconscious programming and behavior begin in childhood, then it is critical to address the original subconscious programming (the Instigating Event) and to change those thoughts and fears that hold you back from using your voice. You can also amass feelings of power and assertiveness by practicing advocating for others; this technique taps into your own internal power and helps you to realize you have a voice. For example, what would you do to save a loved one’s life? You would have no fear and you would do whatever is necessary! You would be assertive and you would speak up. Choose one small situation and practice speaking up; you will notice that it is relieving to do so and the fear was not well-founded. This is akin to expressing empathy. When you can focus on understanding the other person, it gives you the opportunity to prepare your case, and it presents less resistance when you articulate your understanding of their position as you speak up for what you want. If you are going to challenge the status quo or something else in the ‘system’ or relationship, offer alternatives: choices and solutions. Beware of just griping, venting or exploding; ask for what you want. Where applicable (such as a work setting), build your power by building your team or allies; gain social support. You can win over people by also helping them to feel needed, significant and powerful by asking for their advice. You can rally for yourself (your cause, your needs, desires and thoughts) by using emotion, specifically passion. People respond positively to passion but rarely do people respond well to anger, tears or venting. I have made that mistake only to realize, speaking with anger shut down the other person; had I chosen to promote my cause with passion, the other person would have been more receptive and less fearful or resistant. If you would like to overcome the subconscious block to using your voice and speaking up (often caused by childhood trauma), book a one-on-one session with me.